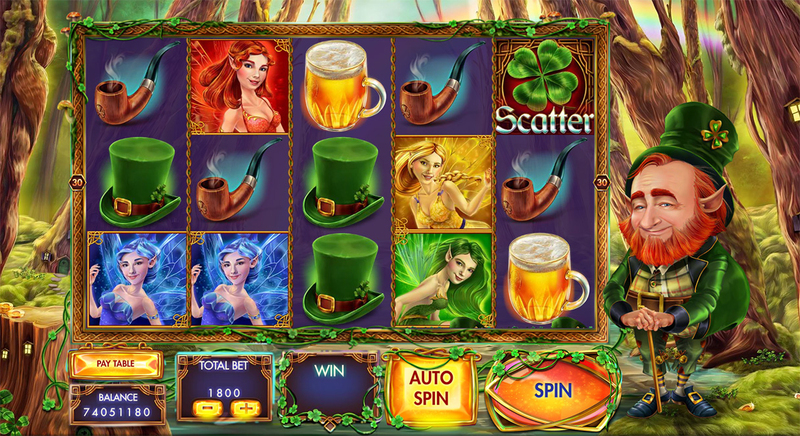 Flying fairies, pots full of money and a naughty leprechaun that will increase your luck! 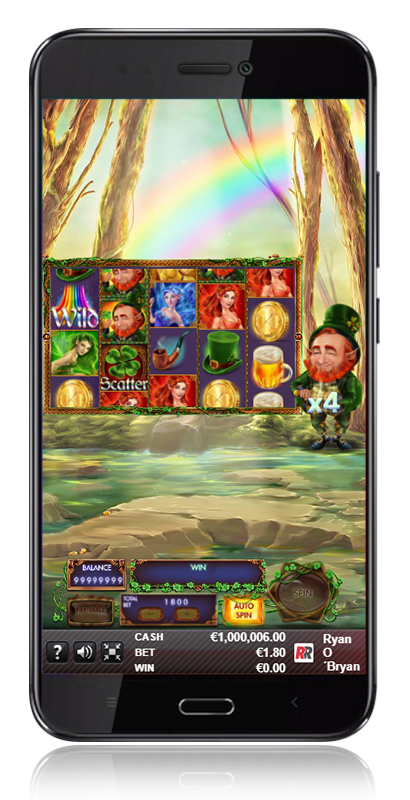 Wilds everywhere! 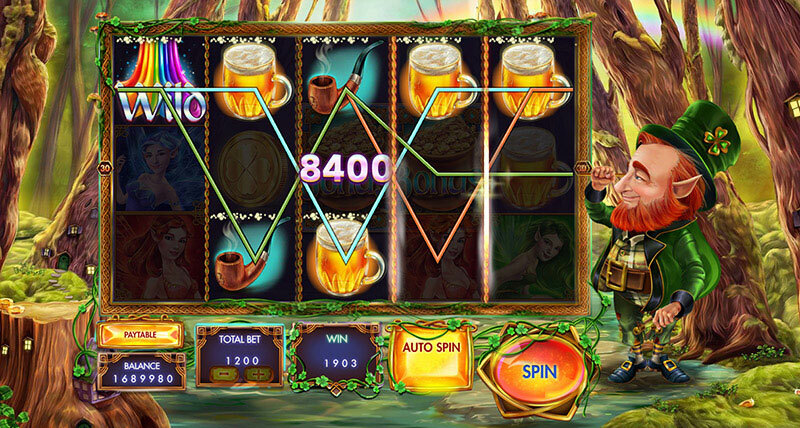 Stuck reels to increase your wins. 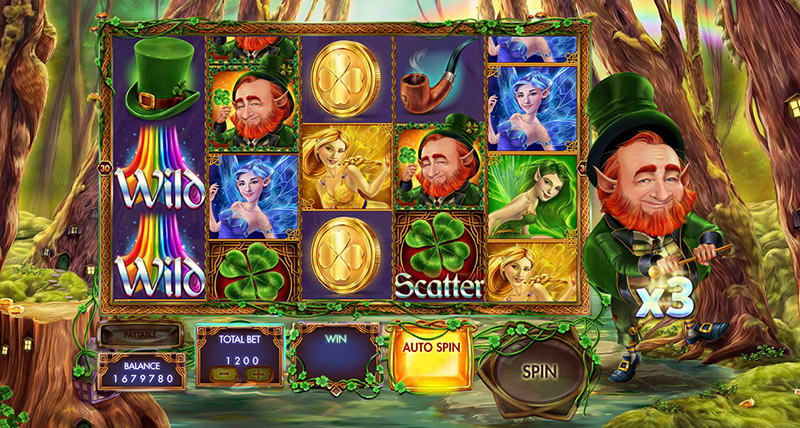 Three shamrock symbols scattered on the reels launch the 'Gold Pot pick Minigame'. 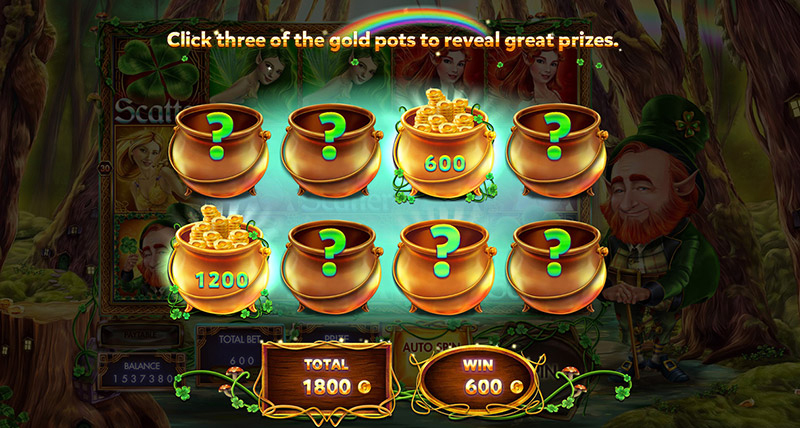 Click three of the gold pots to reveal great prizes. 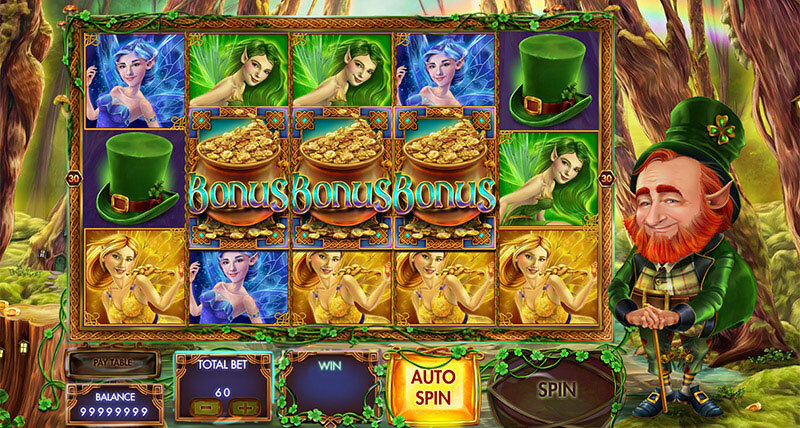 Three Bonus Symbols on reels 2, 3 and 4 launch the 'Free Spins Bonus Feature'. 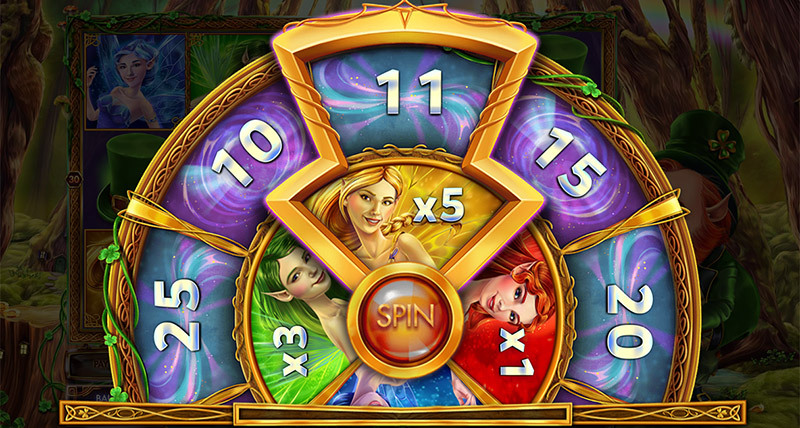 Hit the Spin button in the centre of the fairy roulette wheel to win free spins and multipliers for the 'Free Spins Bonus Feature'. 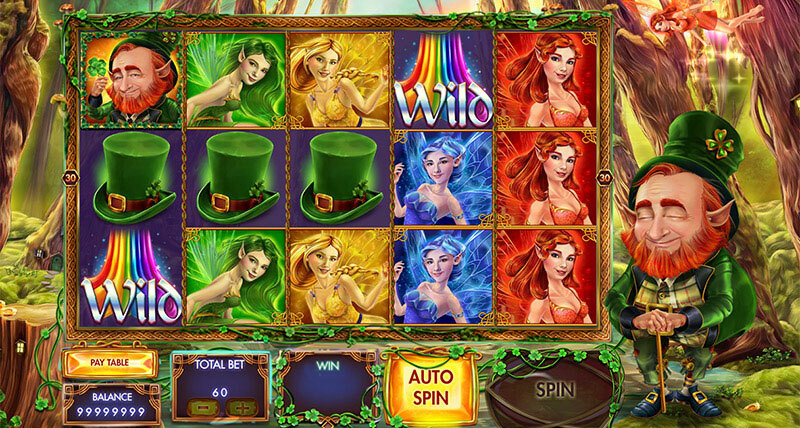 The central reel spins while the fairies extract the Wild symbols from it. 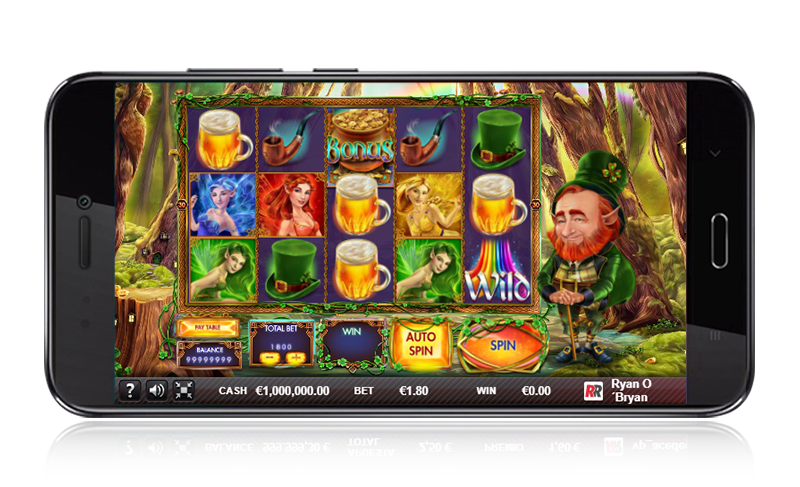 After that, they will randomly distribute the wilds on the reels. 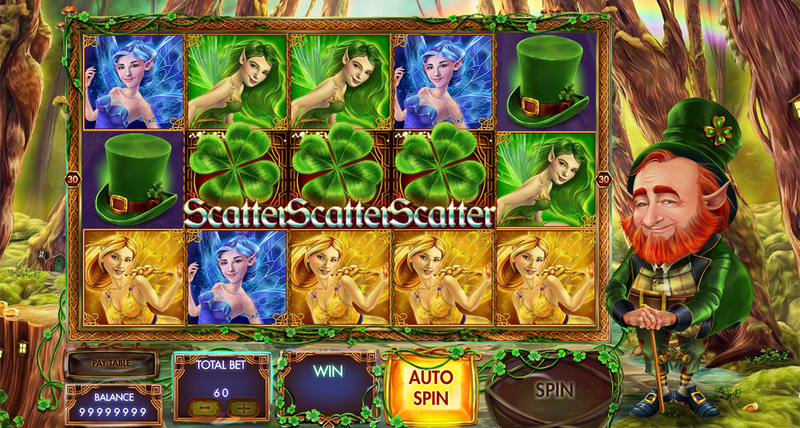 Randomly after a spin the Leprechaun jumps, multiplying the wins. 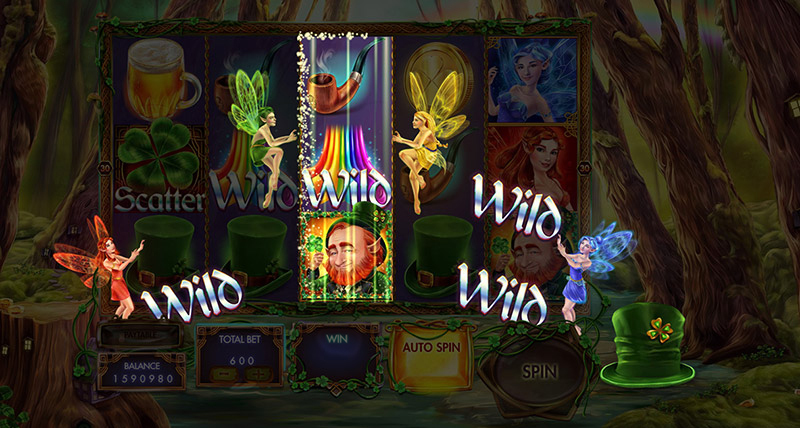 The Fairies fly over the reels dropping fairy dust that transforms them into Wilds. 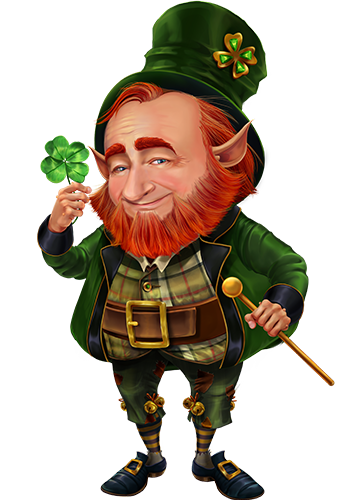 The fourth reel will remain blocked during a spin until the Leprechaun hits it to reveal the result of the spin. 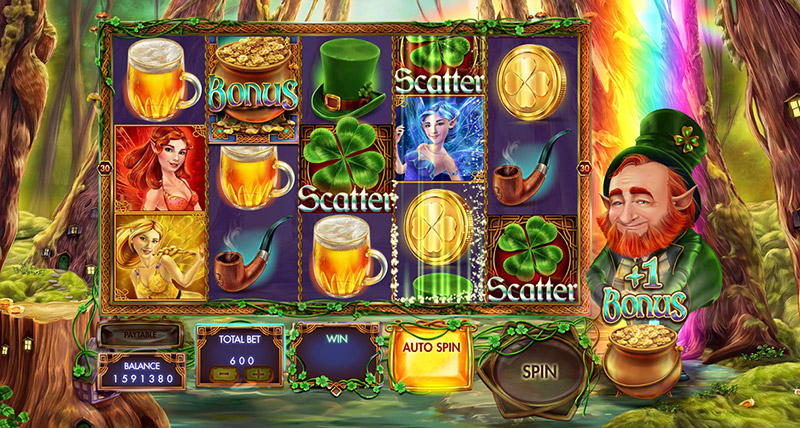 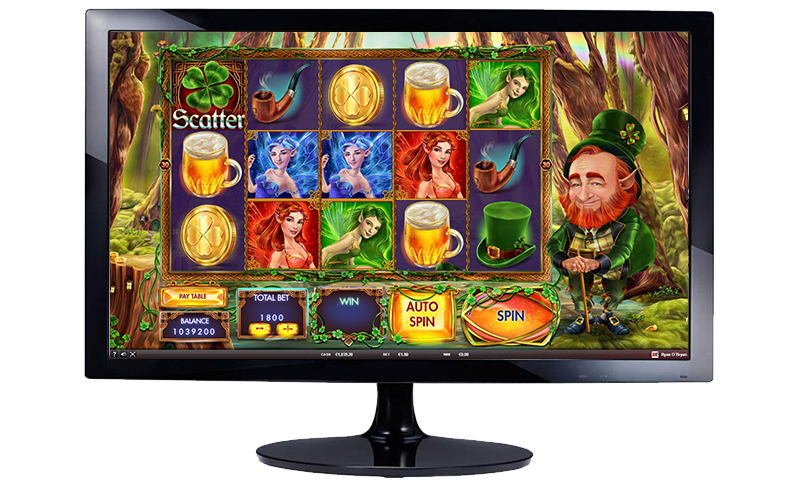 The Leprechaun shows a Bonus symbol before the spin is over to reduce by one the 3 symbols needed to get the 'Free Spins Bonus Feature'.